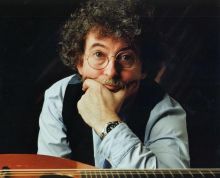 Jimmy Crowley is an Irish traditional folk singer and musician from fair Cork. No-one sounds like Jimmy, and few can match him for the humour, joy, tenderness and sheer storytelling craft which he brings to his repertoire of songs. Jimmy has been traveling the world as a professional musician since 1977. He has been involved in an ongoing process of ethnography, collecting songs and ballads from Cork and elsewhere.